Atalanta managed 32 shots on goal but could not find a way past Empoli keeper Bartlomiej Dragowski as they were held 0-0 at home and dropped two precious points in the race for a Champions League place on Monday. Mauro Icardi couldn't deliver in front of the net, as Inter and Atalanta shared the points at Stadio Giuseppe Meazza. 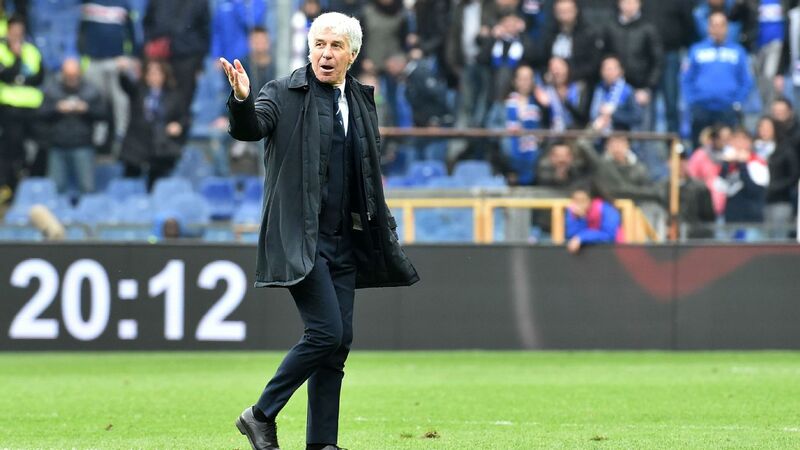 Even without leading scorer Duvan Zapata through suspension, Atalanta earned a crucial point in their chase for an unlikely Champions League place when they held Inter Milan to a 0-0 draw at soggy San Siro on Sunday. The draw pulled Atalanta level on 52 points with AC Milan who began the day in fourth place, the lowest of the Champions League slots. Inter are third with 57. Four goals inside the first 15 minutes gave rampant Atalanta an impressive 4-1 win over Bologna that sees them move to within one point of AC Milan in 4th. Atalanta blasted four goals in the opening 15 minutes against Bologna to move within a point of the top four after a 4-1 win in Serie A on Thursday. The result edged Atalanta closer to the Champions League qualifying places with eight games remaining, while Bologna dropped back into the relegation zone only four days after climbing out of it. Josip Ilicic put Atalanta ahead with a delightful curling effort in the third minute and the Slovenian added a second from a tight angle two minutes later.